Learn How to Manipulate Your Workouts, So You Can Get Quicker and More Powerful on the Mat and in the Cage. Highlight Reels Are Made From Speed and Power! KO's, Explosive Throws, Relentless Takedowns...these are all examples of speed and power at work. How do We Develop More Power? The biggest mistake most people make is by doing bodybuilder type workouts in hopes of getting faster and more explosive. Big muscles DO NOT equal stronger, more powerful athletes. Speed and Power is a nervous system thing. In order to develop more power, our bodies must learn how to recruit more muscles and get them firing together efficiently. The truth is that we can all develop more speed and power, if we perform the right workouts. "Develop the Athlete' was developed to help our athletes become faster, more powerful and explosive. Inside this program, we'll show you exactly what we do to help our guys become more athletic. Exercises, workouts, sets, reps, rest...we'll show you everything we've used with top jiu jitsu competitors, mma fighters, wrestlers, boxers and other combat athletes. If you want to get faster and more explosive, this is the program for you! 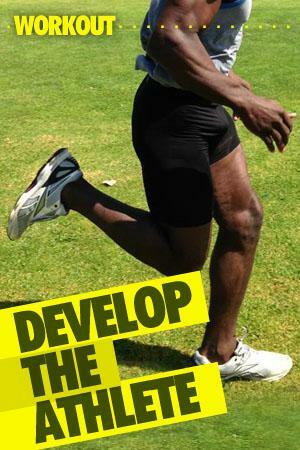 Buy Now Click the Button Above to Get Complete Access to "Develop the Athlete" for Just $17. 60 Day 100% Money-Back Guaranteed.